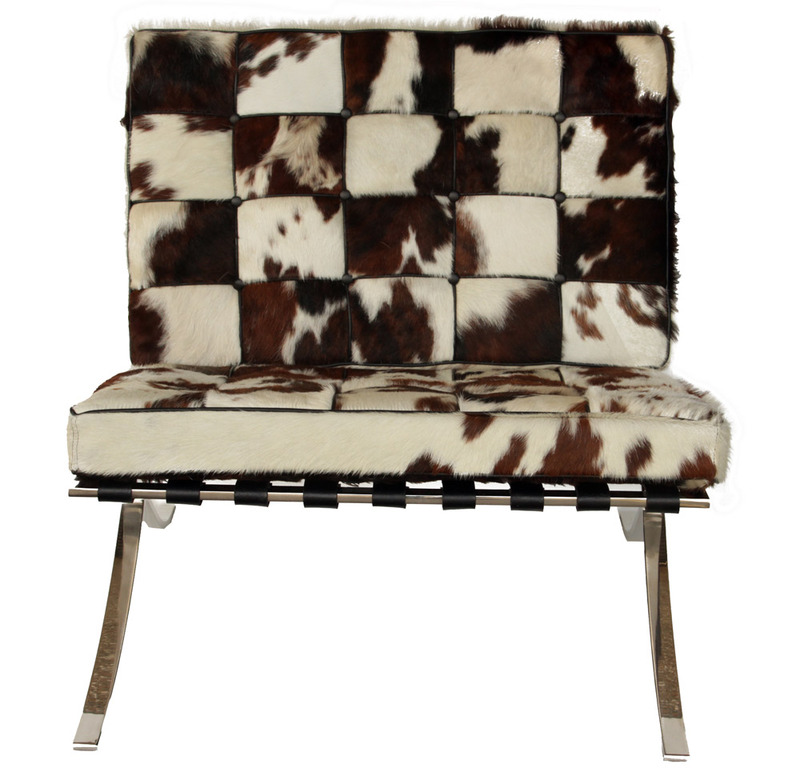 Matt Blatt's advertised replica of Mies Van Der Rohe Barcelona chair in 'cowhide' is different and if nothing else looks comfortable, as it should be for $2395. So who is Mies Ven der Rohe? 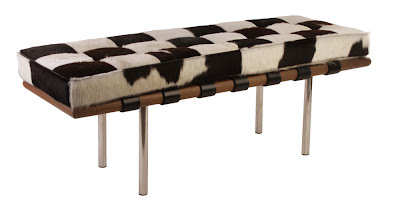 Well Van Der Hohe, who was born in Germany in 1886, was a significant figure in avant garde modern classic design, both in furniture and architecture. Van Der Rohe was renown for his innovative use of glass and steel. Having a particular interest in spaces, he was also the man behind the development of the convention hall in 1953. Van Der Rohe's original Barcelona chair featured at the 1929 International Exhibition in Barcelona and is now considered a 'modern classic'. 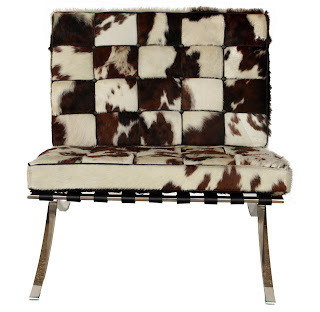 According to the Matt Blatt website, the replica chair is upholstered in pony hide and "each panel of leather is carefully selected, hand cut, hand piped, hand tufted and individually sewn by master leather craftsmen" yet it also says in the general comments that "the inherent nature of cowhides mean that colour, patterning and texture may vary. Inconsistencies should be both expected and appreciated". Pony or cow..? Confused. 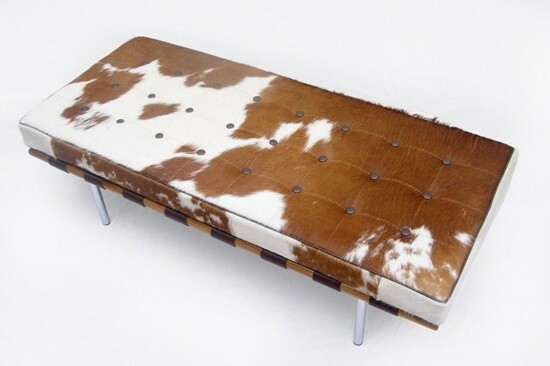 From Hides and Co there's a Van Der Hohe inspired three seater tan and white lounge, based on the "Van Der rohe day bed', priced at $1730...and covered in 'finest Argentine cowhide". Barcelona 'day bed' lounge bench from hides and Co.
Below is yet another Van Der Rohe replica, this time the Barcelona Bench, in cowhide from getprice at $1195. Popular guy that Van Der Rohe.